Vice President Inonge Wina says Zambia will greatly miss the late South African anti-apartheid icon Winnie Madikizela-Mandela as she was an inspiration to the women movement both in Zambia and Africa as a whole. Ms Wina said Winnie Mandela was a source of inspiration to young people and women movements against oppression and injustice. Speaking after attending the funeral of Winnie Mandela in Soweto, in South Africa yesterday ,Mrs Wina said the passing on of Madikizela-Mandela was not only a loss to South Africa but Zambia as well. She said the late anti-apartheid heroine championed the cause for women dignity and freedom of all people across the world especially against the oppressive apartheid regime in South Africa. “Winnie Mandela will be greatly missed in Zambia because she was part of the large movement and liberation struggle in South Africa, championed by the African National Congress, whose leadership lived in exile in Zambia,” she stated. 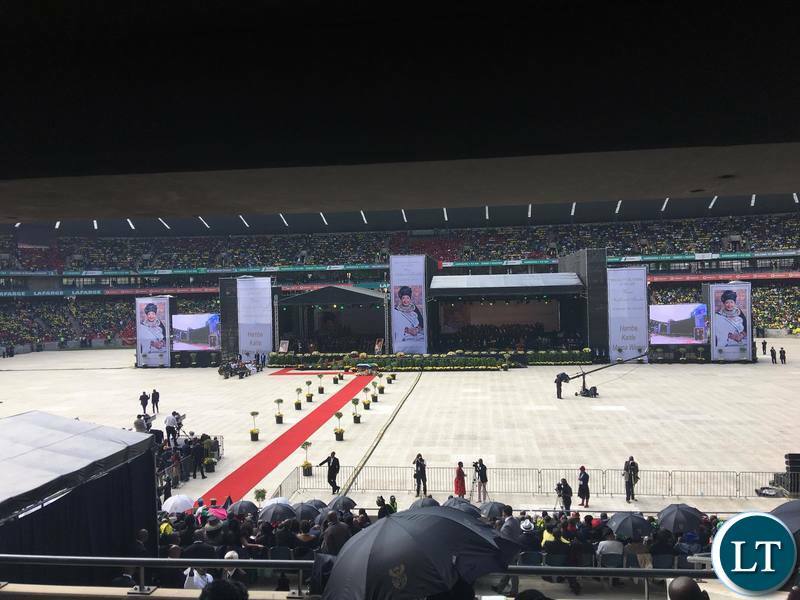 Meanwhile, South Africa’s President Cyril Ramaphosa led thousands of mourners in bidding farewell to Winnie Madikizela Mandela during a funeral ceremony held at Orlando Stadium attended by American Human Rights Activist Jessie Jackson and American actress and song bird Naomi Campbell among other people. 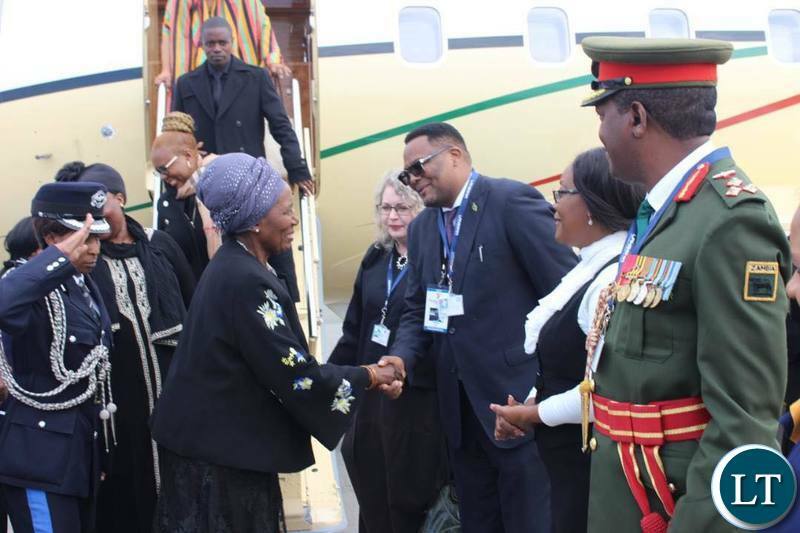 The Vice President was accompanied by Information and Broadcasting Minister Dora Siliya, Lands and Natural resources Minister, Jean Kapata and Zambia’s High Commissioner to South Africa, Emmanuel Mwamba among other government officials. This is contained in a statement availed to ZANIS by First Secretary Press and Public Relations at Zambia’s High Commission in South Africa, Naomi Nyawali. atleast she was brave than most of them women w have here in Zambia..
Where was Wina sitting, I didn’t see her. I posed so many videos just to search for any Zambian women representative. PF you are saved, I almost insulted you to the bones. Good job Inonge. Malema’s speech was the best mwee…. Why can’t Zambia find a Malema? That guy could make a good president. Winnie Nomzamo Madizikela Mandela did not fight for women’s movement, she fought for FREEDOM FOR ALL! What has the women’s movement got to do with it? That’s a meaningless cliche that all women danderheads hide under!